Unexpected things happened and I had to put my Blog and FB temporarily on hold until everything gets back on track. Thank God for keeping my family strong. Now, it's time for me to return to Bloggywood. I know I've missed one month long updates from the bloggers worldwide. I'll do my best to keep up with you as soon as I can. Hearty thank you and welcome to new visitors and bloggers. Hope I've replied all your queries under the comments section. To the rest of my cyber friends, thank you very much for all those messages, checking on my whereabouts. Gratitude! In a large bowl, mix together ingredients marked * and allow to marinade for an hour or longer. Deep fry the marinated chicken pieces in oil until cooked. Rest on paper towel or wired rack with a plate to collect excess oil. 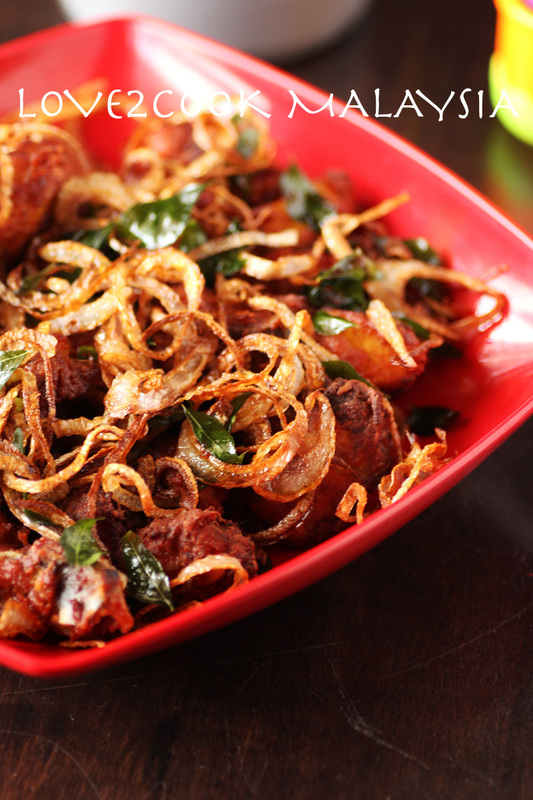 Now, mix the onion rings and curry leaves into the leftover marinade mixture. Deep fry until they turn crispy. Spread over the fried chicken before serving. Enjoy the dish while hot! Note: Blend chopped galangal with very little water to get the paste thick. Need to get my hands more on the dslr again! By the way, I do have couple of Guest Posts coming up on my space. 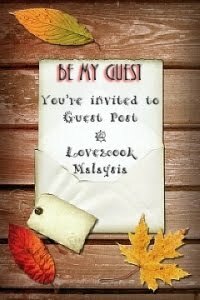 Stay tuned for the loveliest food bloggers on earth! Lovely clicks ..Delicious chicken fry..
Good to have u back. Great chicken. Yuhuuuuuu..... Sri, I sure missed you, my dear. Hope everything is back to normal, good to see you back in action. Wah, you're 'killing me' at this hour .....with your fingers licking good fried chicken. Look really superb. Have a great week ahead,regards. Take care. With hugs to you. Lovely chicken dish! Happy to see you blogging again,Sri! 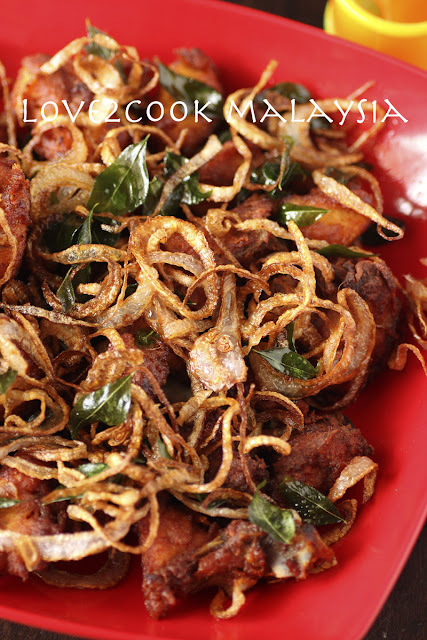 Admiring your version of a Malaysian flavored chicken fried. This is so good and that highly fragrant curry leaves is another drawing factor to jump into the lovely fried chicken pieces. Happy to see you back. loved your fried chicken. hope things are coming back to normal for you and welcome back. dish is so temtping. 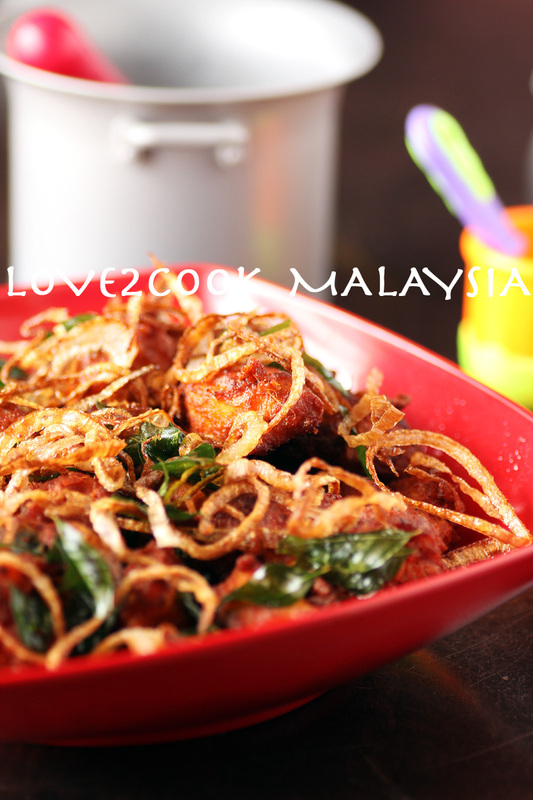 Gud to see u back, U's blog been my cooking inspiration as I been a "chickenlover" as well. Awsome dish, shall try this weekend for my lovely son. sorry for my late visit to your blog also..welcome back with this nice plate of fried chicken, love the crips onions. Miss you too Love...awsome dish!! Sri, another chicken lover here loving your fried chicken! I owe you something and I haven't forgotten :) Will be working on it soon ya! 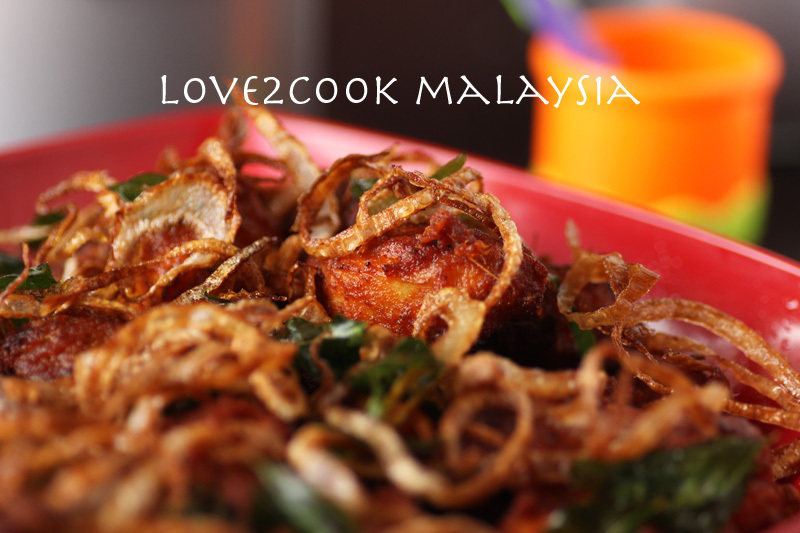 by the way.. your fried chicken looks so yummy... be with nasi lemak sure terangkat! ah simply awesome dear :) pass me the bowl.. So mouthwatering--I need to try this! I'm glad to see you here again with the banging 'comeback dish' and I'm very happy that everything came back to normal. I love your chicken Dear :)!! welcum back to blog world....n chicekn luks just awesum..tempting cliks. This looks super delicious :) yum!! Wow, these onion crisps and the yummy chicken with galangal make a terriffic combo, i am sure! Your presentation skills are amazing. Loved this dish! My first comment on our space ! Been reading your blog one whole night. I just love this space ! Your kids are so cute ! Big fan and ardent follower from now on ! Hope you are doing well. take care.